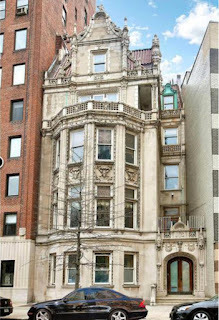 The Philip Kleeberg residence designed by C.P.H. 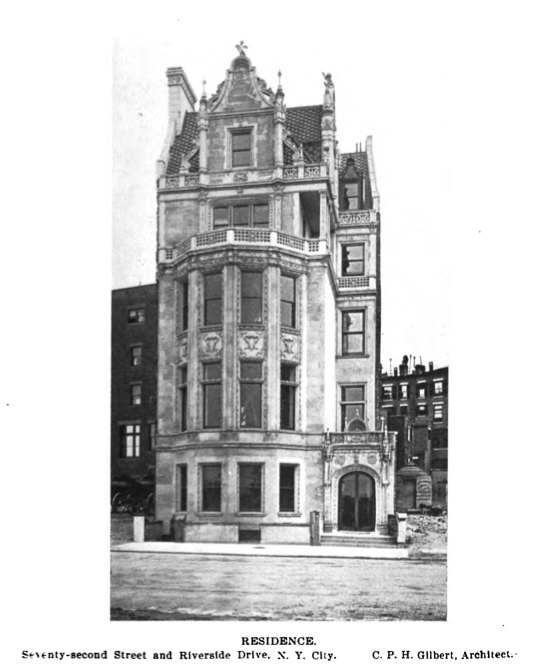 Gilbert c. 1896 at 3 Riverside Drive and West 72nd Street in New York City. Kleeberg, a textiles merchant, deeded the house to his wife Maria before it was completed and she committed suicide there in 1903. The NYTimes article on her death was entitled 'Rich Woman Ends Life' with the subheading of 'Mrs. Philip Kleeberg Excuses Herself from Guests to Die'. The residence is currently on the market for $40,000,000, click HERE for a NYTimes article on the residence. Click HERE for a Curbed article on the house with interior photos. Click HERE for a period photograph and HERE to see the residence on google street view. Goodness !!! That headline about Mrs. Philip Kleeberg reminds one of those articles by society writer 'Cholly Knickerbocker' back in the 1920s and '30s, in his "Tragedies of the Rich" series . . . "Suicides stalk the Joneses of Long Island", "Blue Blooded Nicholas Fish Killed in Drunken Brawl in Cheap Saloon", "Bitter Battle for Bluebloods when Auto Killed Charlie Fair and His Factory Hand Wife", Van Cortlandt Snubbed by Mrs. Fish a Suicide", "Polo Fall Drove Socialilte Arthur Scott Burden Violently Insane", "Louise Suydam's Suicide with Soul Mate: Young Wife Left Socialite Mate to Wed Plumber's Son", "Love for Factory Girl Ruined Eugene Higgins' Life" ( oh, that lovely factory girl again ), "Cup That Cheers Wrecked Laura Biddle ( a special for the kids ), "Bank Looter Joe Harriman Brought Ruin and Broken Heart to Once Haughty Sociality Family ( just the thing for a cozy night's reading for the wife and children ) !!! Yes, these were actual society column headlines in the Hearst papers. I relate this in the lighter vein, and with tongue firmly planted in cheek ! 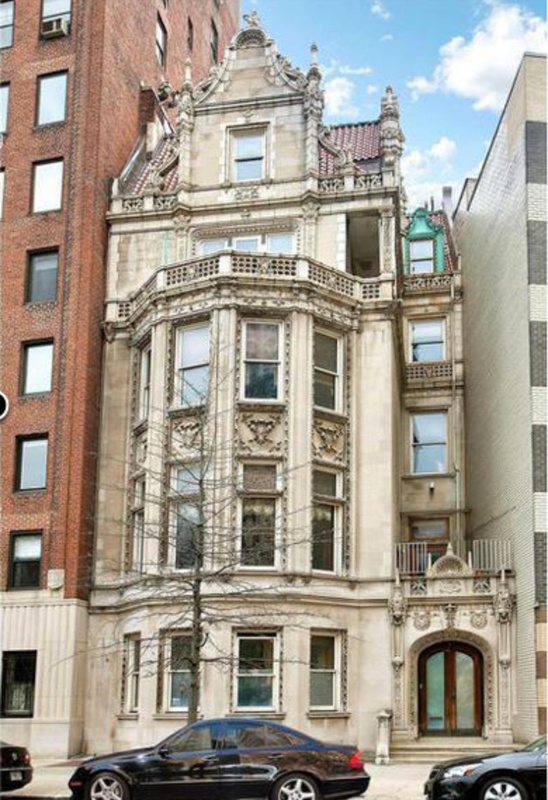 Mr Gilbert used the Woolworth mansion as the general prototype for this one but very less grand. I find the shape of the bay very weird and have never seen it anywhere.